Online vs. Offline Data: Which is More Effective? 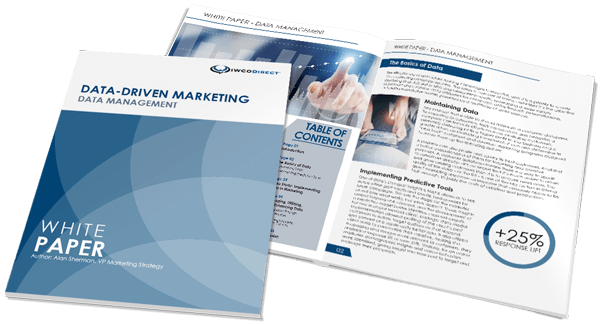 Relevance is one of the single biggest drivers behind a successful direct mail campaign. This would not be possible without the effective use of data, which is a plentiful commodity in the marketing world. But there is a striking difference in quality between traditional data available offline and its online equivalent (or lack thereof). Direct mailers have been in business for a very long time, and as a result, have been “mining” data themselves or through data providers just as long. There is abundant consumer data available, and that data continues to become more refined. Companies trying to market with online data only just don’t have the same resource maturity or sophisticated data refinements in their environment. Direct mail lists are vitally important to the success of direct mail campaigns. In fact, some estimate that 60-90% of a campaign’s success comes from the quality of the list. Of course there are other factors such as the offer, copy and format that can also dramatically influence success, but it is generally viewed that data is the most important. Our customers develop their lists in a variety of ways. For most large customers, using a data provider is very important if not as a stand-alone source, then to augment an existing list. Some clients, like our loyalty customers, prefer to use their own internal list. Each method has its advantages, but determining which one to use is generally dependent upon the overall goals of the campaign. It’s always a challenge to find the right data to inform your business decisions – and harder still to uncover the potential value hidden in the data. Predictive modeling techniques that target customer characteristics, behaviors or life-events are particularly valuable across various industries to refine data and predict when a customer will need your services. Credit scores and other financial indicators also can help make your direct mail campaign more effective by targeting more qualified prospects. Customer data is a vital asset that needs to be protected. Failure to protect this information carries risk that has increased by many orders of magnitude with the formation of the Consumer Financial Protection Bureau (CFPB). In addition, loss of customers and investors through a damaged reputation can result. This evolving risk means marketers must seek partners who take the privacy and security of their customers’ data seriously. At IWCO Direct, we have aggressively pursued measures to ensure data protection is a top priority. Our ISO-27001 certification is one such measure. It results in higher awareness and understanding of applicability of risk, better management of risk, and most important, reduction of risk. Effective multichannel marketing campaigns are born from the effective use of consumer data. While online data has come a long way, and is still necessary to create timely, relevant offers, there simply remains no substitute for the quality and depth of traditional offline data.